Whole Foods Market is the world’s #1 natural and organic foods supermarket chain, operating over 370 stores throughout the US, Canada, and the UK. We’ve created a myriad of initiatives that continue to exceed these objectives. Every month, Inspire curates ten of the world’s best-selling, newest CD and DVD titles, offered on cash register countertops and stand-alone displays. Millions of CDs and DVD units have sold nationwide, making CDs and DVDs consistently one of the highest selling categories in Whole Foods stores across the country. Music sales in Whole Foods are up 118% in the past 4 years – making Whole Foods Markets one of the most sought-after retail placements by leading global artists. Inspire & Whole Foods recently launched vinyl records and accessories in their stores; creating tremendous buzz and sales. 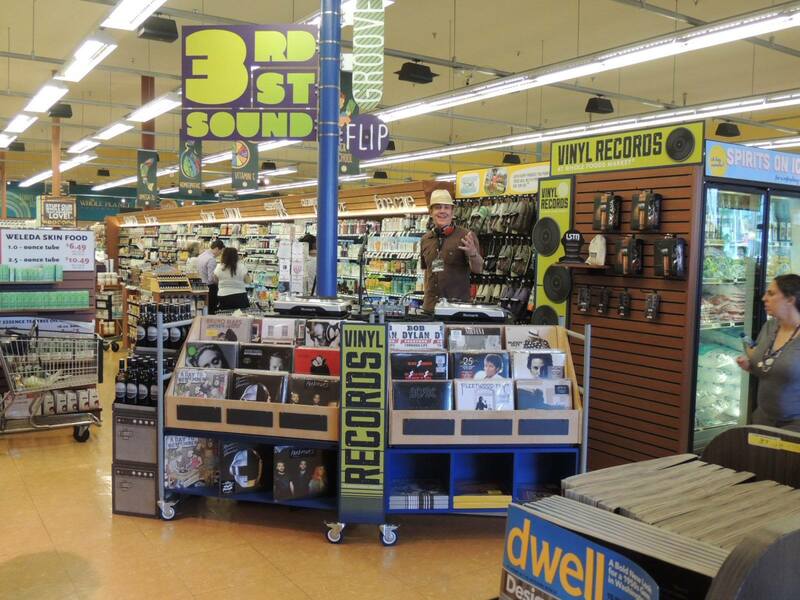 Check out a story here: http://entertainment.time.com/2013/08/23/a-fresh-sound-whole-foods-starts-selling-records/. Curating releases and campaigns for the Whole Foods charity, Whole Planet Foundation, including the engagement of world-class music for charity initiatives. As Whole Foods “entertainment partner,” we produced their 2014 Global Conference “Tribal Gathering” finale concert at “Austin City Limits'” Moody Theater — with artists Ingrid Michaelson, Allen Stone and Michael Franti. Stories and articles on Whole Foods Market’s success with its music campaign have appeared on national television (CBS Sunday Morning America), and in numerous national publications, including Billboard, The Wall Street Journal, The Los Angeles Times, Chicago Tribune, Time, and The New York Times. A relationship that began by selling CDs on one counter, in one store, has blossomed into a trusted global partnership that provides a wide array of entertainment services and solutions to millions of Whole Foods Market customers.